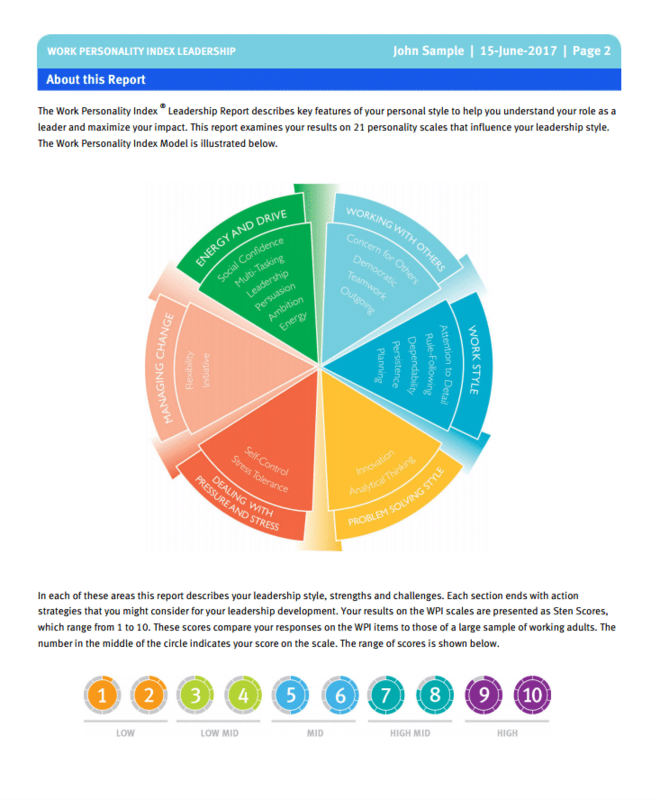 The Work Personality Index® assessment provides a clear framework for understanding the impact of personality on job performance. It helps you identify key motivators and behaviours – essential for hiring the right people, developing employees and supporting great leaders. 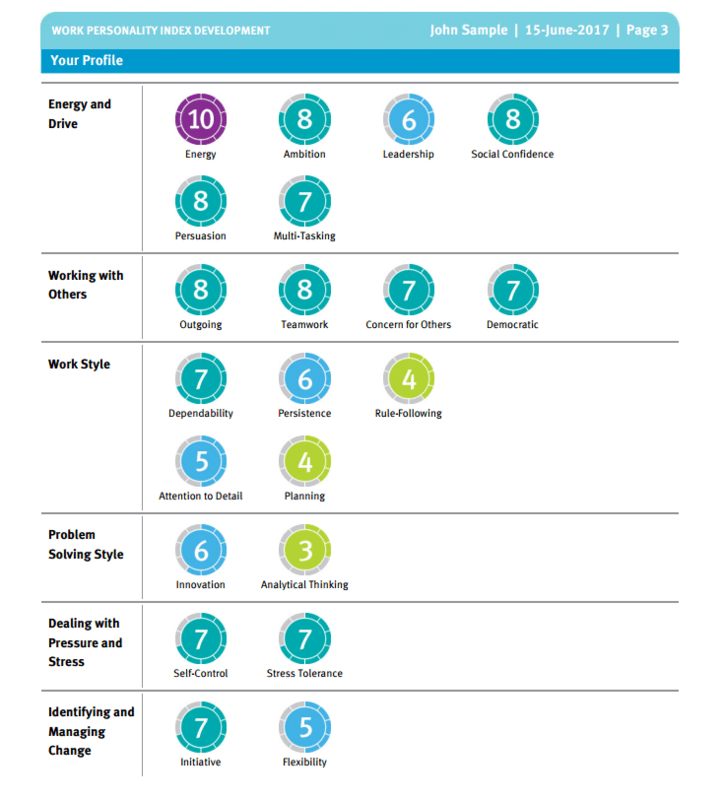 Unlike other personality assessments the Work Personality Index® assessment only measures personality traits that are directly related to the work environment and on-the-job behaviours. A complete picture of an individual’s work personality. 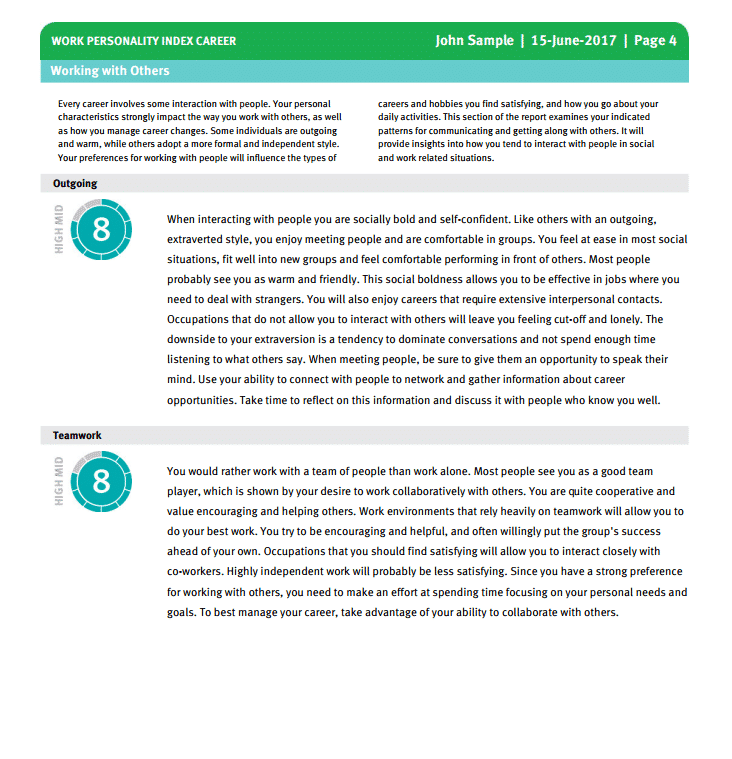 This report focuses on personal characteristics and behaviours that influence how individuals perform in work settings. 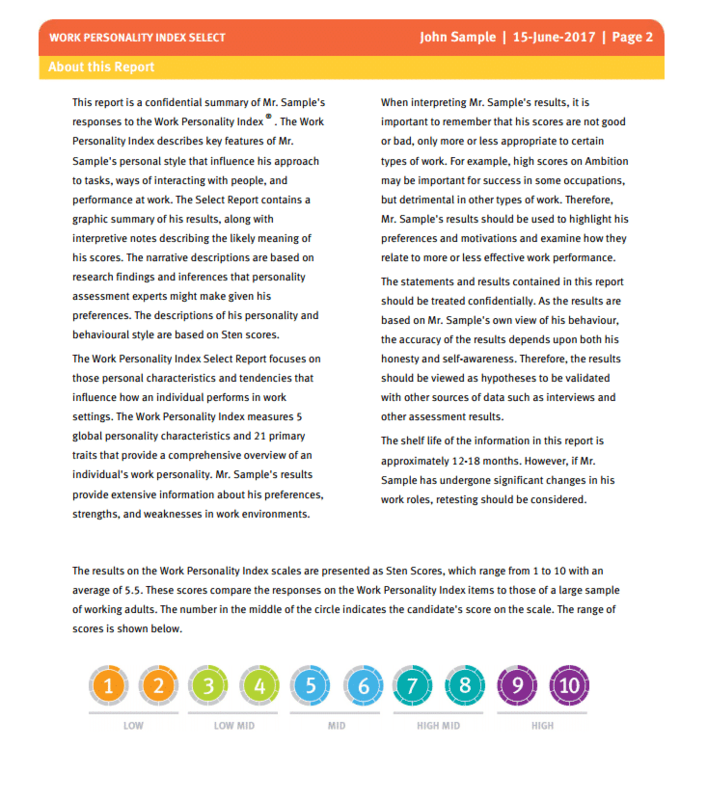 This report explores individual’s pivotal skills, competencies, and areas of difficulty to help focus development plans. 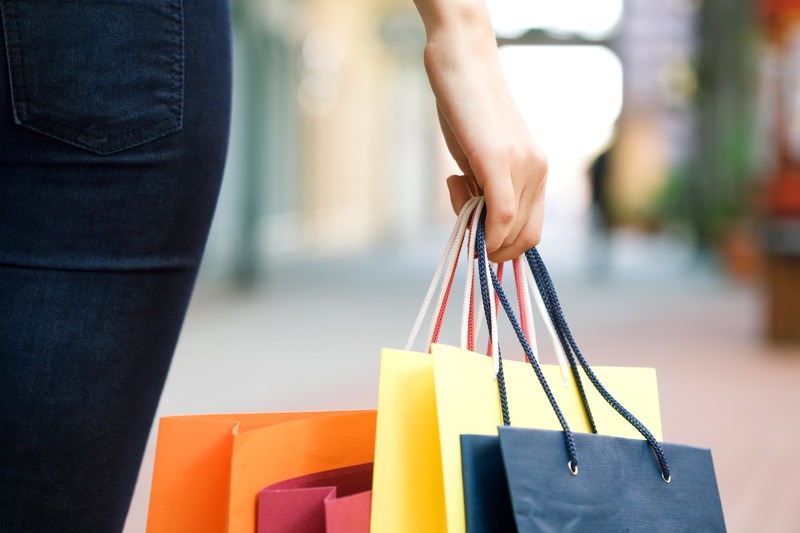 This report provides insights into an individual’s personality traits, kinds of work they enjoy, and how they can manage career change. 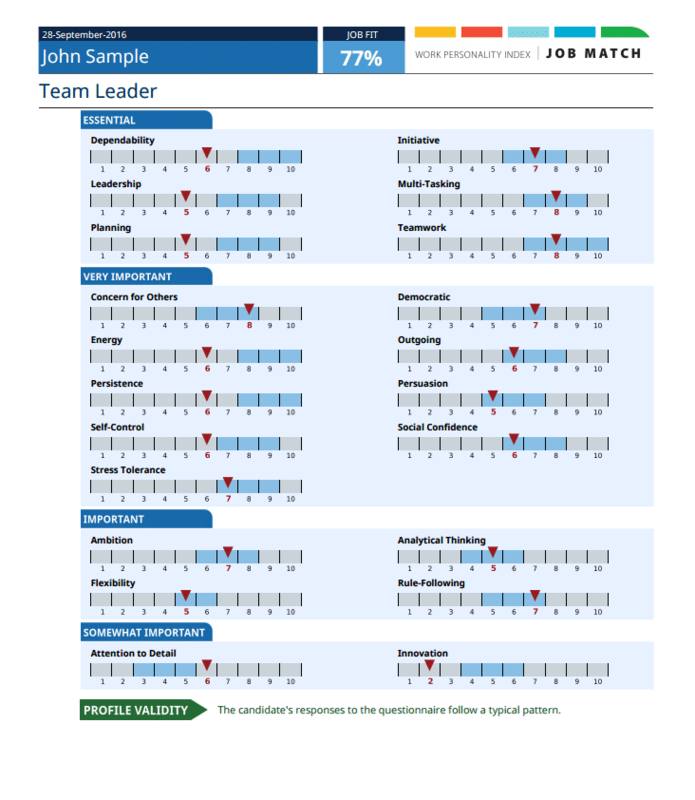 This report describes a candidate’s approach to tasks, way of interacting with people, and with performance. Our experts will work with you to create custom job profiles to reflect the demands and key performance metrics that are required for success in your organization.